The woodworking factory Lehmann was born in 1981 thanks to the passion of a fully dedicated to the work of noble wood family. Professionalism, quality and beauty of its creations made in respect of traditions allowed the Lehmann factory to get a great reputation. In 1996, the company decided to relocate outside the village in order to expand its activities and present their products in a more relaxed setting. Always trying to better satisfy the requirements of its customers, it has never stopped growing since, being able to combine innovation and tradition. Here, the production begins with the purchase of wood in the forest: beech, oak, pear, wild cherry or walnut. The logs are then cut into boards of different thicknesses, stored and dried for a few years in special dryers. Thanks to a team of highly skilled and passionate cabinetmakers, wood is processed, machined, assembled and finished according to your wishes. 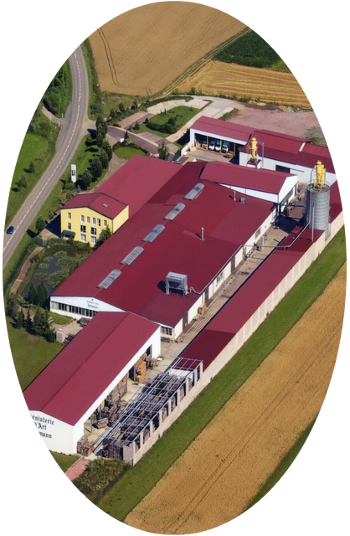 On an area of over 20,000 m², with a lot of high-end machines, the factory Lehmann is able to answer any request. With its designer department, it has diversified its product range in both traditional and contemporary style. A new showroom has been opened in September 2014 in Auenheim, rue de Soufflenheim to give you always more choice. In our showrooms, you will find an impressive selection of contemporary and traditional furnitures presented in a warm and family atmosphere rich in decoration parts. The competence of a team motivated by the love of beautiful furnitures is available for your projects.